I am not someone that bets, but if I were, I would be willing to bet everything that I could get my hands on that they will. Or someone worse that her. I also think that the number of muslims in Congress will again double or triple. How old was this Congresswoman in 1991? Who fed her this line? Posobiec is reporting she married her brother in some green card scam. Another journalist turned her in to ICE on the tip line. I watched a hockey game being played in Minnesota and thought how did that state possibly import so many Somalians and elect such a repugnant representative. I am not pleased to see a foreign ragheaded enemy of America sitting in Congress talking smack to an American citizen with that little smirk on her nasty lips. I think many of them suffer from a brain freeze. Some good people up there but a lot of trash. I am not totally sure on this. I do know that they have this Farmers Democratic League? FDL...as their version of Demokrats up there. Just what I think I remember. 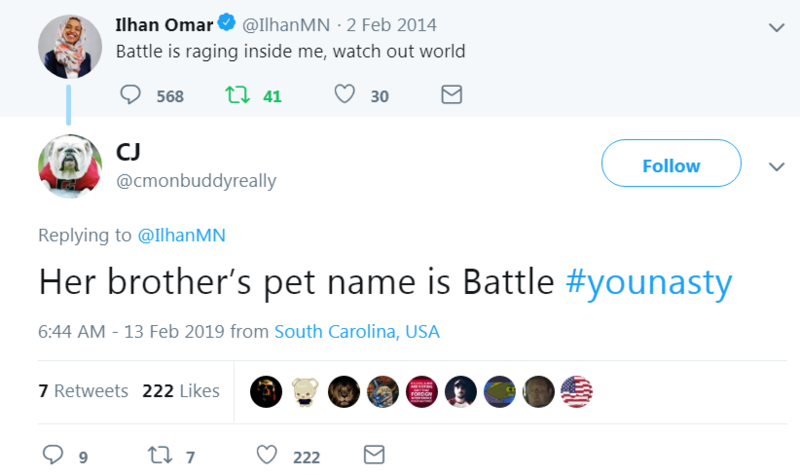 Large numbers of her constituents are imported Somali Muslims. A “B”, you’re being kind!
. . . but punish her, they must! 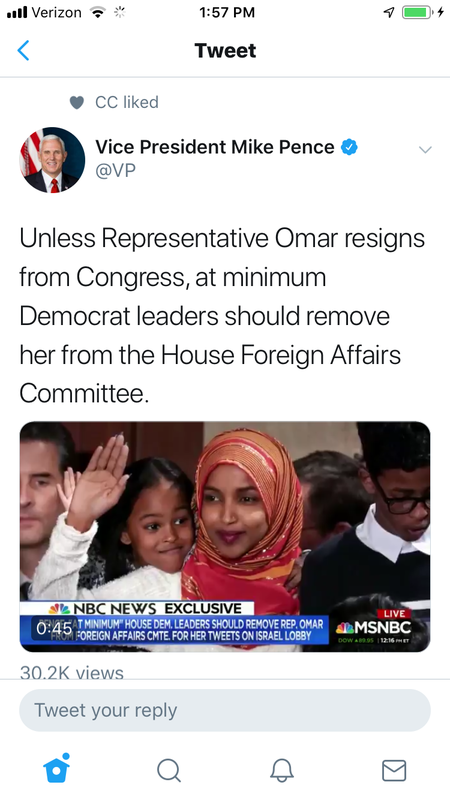 Best she is booted off the House Foreign Relations Committee immediately or she will convert that committee into a rabid anti-Jewish, pro-Islam horrorshow--featured on C-span & on TV sets across the world. That wretched person was brought to the USAfrom a real, actual shite-hole at taxpayer expense. She goes to public stools and gets educated and this is how she repays the USA? 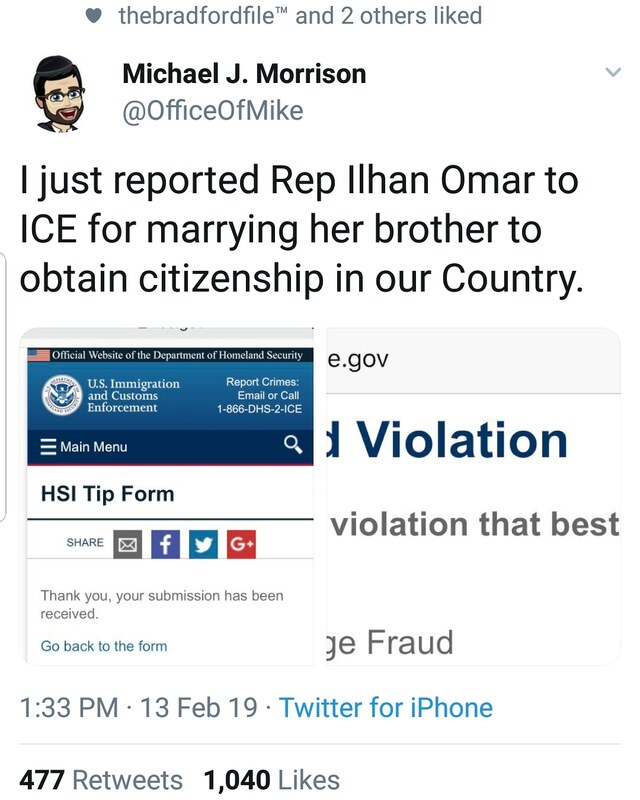 She committed fraud against the US by marrying her brother to get a visa? Did I hear that correctly? She speaks very poor English. How does she still have such a strong accent after 25 years here? My blood pressure is still up. These LYING Leftist Scumbag Clowns are a Disgrace! A total Joke! And so are the Morons who elected them!